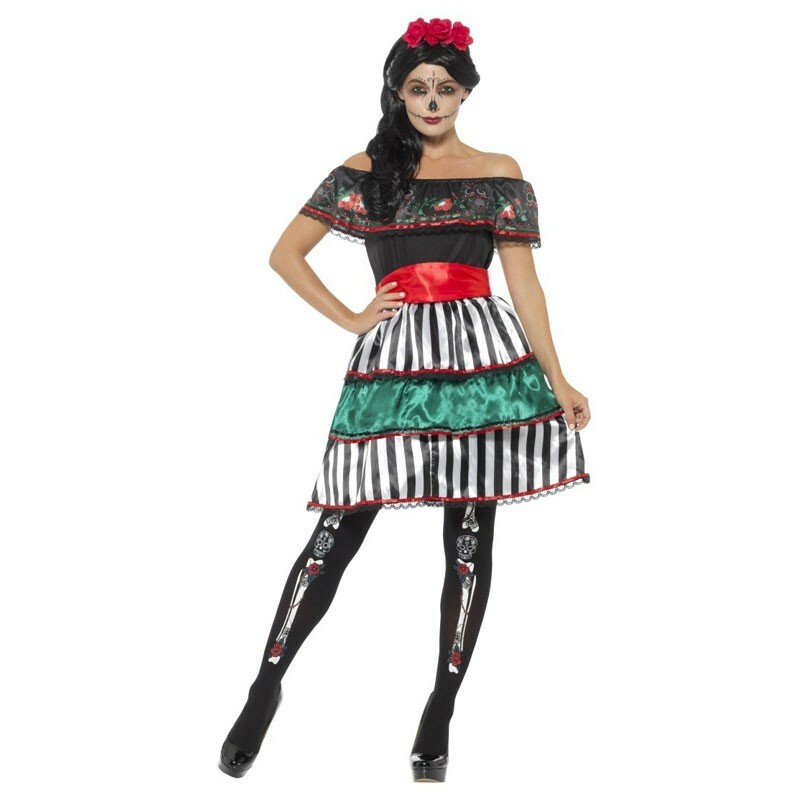 Our Day of the Dead costume includes this multicoloured Bardot Dress with a feminine floral print design and finished off with green and red ribbon detailing. The skirt half of the Dress is tiered with mismatch prints and finished off with a black lace trim. Tying this costume together is the Red waist Belt and statement Rose Headband. Small 8 - 10 32" - 34" 26" - 28"
Medium 12 - 14 34" - 36" 28" - 30"
Large 16 - 18 38" - 40" 30" - 32"
X-Large 20 - 22 42" - 44" 34" - 36"